Selling is part of business — but it makes a lot of us nervous (especially writers, I’ve noticed). I think that’s because we have skewed “Glengarry Glen Ross” ideas about what effective selling truly looks like, and we don’t understand the structures that pave the way to a sale. I’ve struggled with the idea of selling in the past (still do when it comes to selling myself) in part because I see so many sleazy, gross attempts to sell. I don’t want that icky feeling when pitching my own services or clients’ products/services. It’s so true, though, that it doesn’t have to be that way if you focus on the audience’s needs. Thanks for the reminder. As a side note, I was glad to see the title of this episode because I assumed there would be a mention of the Content Marketing Certification at the end. 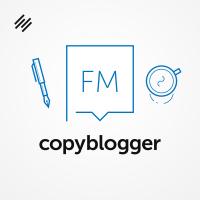 (It’s the sort of meta element I’ve come to love from Copyblogger. I’m interested in the course, but I’m not entirely sure it’s for me yet. 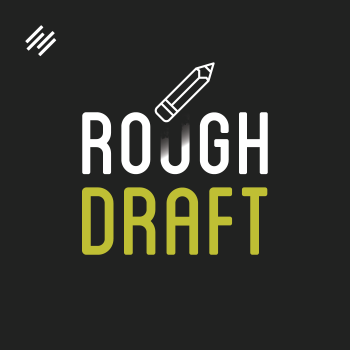 I’m transitioning into freelance writing full-time with a focus on content marketing strategy. I feel that I have strong writing skills and a distinct voice. I’m still working out my positioning, though. Any thoughts on that? Brian and I talk quite a bit about positioning literally from the first week. Whether you go with us or not (of course I hope you will! ), I think it’s smart to carve out that positioning as a content strategist in addition to the actual writing. You might or might not use the term prominently in your marketing. Some (many) clients don’t know they need a content strategist. What they know is that they’re glad to find someone who understands the purpose of blog content, who knows how to structure persuasive copy, who has solid strategies for getting email marketing delivered and read, who has a plan to put it all together effectively, etc. I just signed up (I think I already knew I was going to). It’s a big investment for a new freelancer, but I probably already owe you and Copyblogger that much for all the free content I’ve received from you guys. I’m looking forward to the training and the transition into strategist, which is more how I see myself anyway.